This is what participant Sara Pickard from Inclusion International said at the end of the leadership training organised by Inclusion Europe from 26 to 28 September in Brussels. Sara had come alongside 25 other self-advocates and family members to attend the training, which this year focused on “Violence and abuse towards people with intellectual disabilities: Empowering self-advocates and families to advocate to end it”. 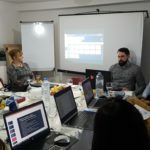 The training, which was attended by Inclusion Europe’s president Maureen Piggot and vice-president Senada Halilčević, consisted of two intensive preparatory days and, as a highlight, meetings with nine Members of the European Parliament (MEPs). Irene Rosales from the European Women’s Lobby (EWL) talked about the work of the lobby to end violence against women, legislation on the issue like the Istanbul Convention (which the European Union has signed), and EWL initiatives, such as an Observatory on Violence against Women. In times when one in three women in the European Union face violence, and women with disabilities are at even higher risk, we must stand together so “no woman has to deal with violence no matter which EU country she lives in”, she said. An-Sofie Leenknecht from the European Disability Forum (EDF) also stressed the specific vulnerability of women and girls with disabilities towards gender-based violence. One example is forced sterilisation, which is “still happening today in Europe”: The women concerned are often not aware which kind of operation they are about to undergo, and either never learn about it or only when it is too late. But women with disabilities also face high numbers of domestic violence and – violence in institutions. This was the topic researcher Juultje Holla spoke about during her presentation. She is working on Inclusion Europe’s project “Life after violence”, which examines how women who have experienced violence in institutions deal with it after leaving those institutions. 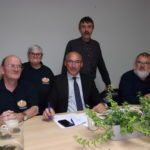 The power of their personal stories enabled self-advocates and family members to quickly establish a connection with the MEPs and to make them listen to their demands. One participant, for example, courageously shared her experience of being sexually aggressed by a stranger in a car – and thereby demonstrated the real-life consequences of the double discrimination women with disabilities face. The impact they made was also shown through the reactions of MEPs – ranging from “Deeply moving testimonies” to “the best moment of my day” to the affirmation that “women with disabilities must have the same human rights and fundamental freedoms as all women”. Self-advocates and family members received invitations to a multitude of events on violence against women and the rights of people with disabilities, alongside the encouragement to keep up their determination and good work. Thank you to all the participants who came, and especially to those who decided to share their personal stories. We hope to see you again in Brussels for Hear our Voices! “This experience has been so important to me. This is what Sara Pickard said at our leadership training. Sara is a self-advocate from the United Kingdom. The leadership training was held on the 26 and 27 and 28 of September. 26 self-advocates and family members came to the training. The training was held in Brussels. Brussels is a city in Belgium. It is also where Inclusion Europe is based. Participants came from different places all over Europe. against women with intellectual disabilities. Maureen Piggot and Senada Halilčević were at the training. Maureen Piggot is the President of Inclusion Europe’s board. 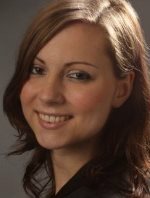 Senada Halilčević is the Vice-President of Inclusion Europe’s board. with the Members of European Parliament (MEPs). Participants met with a total of 9 MEPs. At the training we talked about Forced Sterilization. Two speakers came and talked about this issue and other things that affect women. We heard from Irene Rosales. Irene Rosales is from the European Women’s Lobby. Irene also talked about different laws and documents that help stop violence against women. Irene also talked about how one in three women are victims of violence. Even more than one in three women with disabilities are victims of violence. 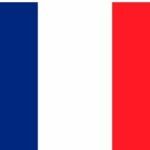 no matter what European Union country they live in. We also heard from An-Sofie Leenknecht from the European Disability Forum. An-Sofie also talked about violence against women. An-Sofie talked about Forced Sterilization. An-Sofie also said that lots of women with disabilities deal with violence in institutions. We also heard from Juultje Holla. Juultje works on Inclusion Europe’s project “Life after violence”. Juultje talked about women with disabilities in institutions who deal with violence. Juultje uses pictures that she has drawn to help people with disabilities talk about violence. Juultje showed us these pictures at the training. are scared to tell people about it even after they leave the institution. This is because they are scared of getting sent back to the institution. when they have been dealing with violence. Juultje said that people with disabilities fear that if they speak out bad things will happen to them. But it is important to speak out! At the training we learnt about speaking out and spent the afternoon practising to meet the MEPs. This is the list of MEPs that the participants met. These MEPs come from countries all over Europe. The participants talked to the MEPs and shared their personal stories. By sharing their personal stories they helped build a connection with the MEPs. One brave participant talked about a bad time and when she was forced into someone’s car. The person in the car then abused her. She was very brave to share this story with the MEP. The MEPs said that it was very good to speak to the self-advocates and family members. One MEP even said it was the best part of her day meeting with the self-advocates. The MEPs also invited the self-advocates and family members to lots of different events. The leadership training was very good for everyone. and that their stories were listened to. and you can talk to them and they will listen. Inclusion Europe wants to thank everyone who came. We hope to see everyone again at Hear Our Voices in Brussels in December! You can see some pictures from the training on Facebook.